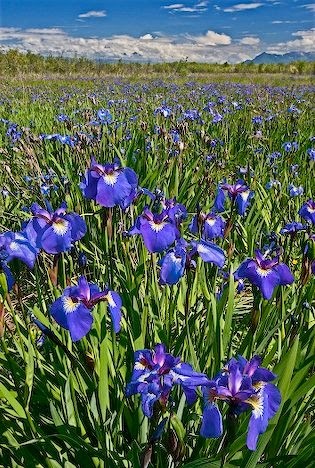 like coming on a meadow of wild iris. ‘love is pain’, that blue-purple flight. I will bloom, the wildest iris. One flower redeems the world — yes, I believe this. Against all suffering, the beauty of one iris. Because pain passes, but beauty remains. To me beauty is the kind of consolation that religion never was. Religion was about being manipulated by the carrot and stick: the pie in the sky (pardon the mixed metaphor) versus eternal torture in hell. Beauty made no demands. I didn’t have to go down on my knees and beat my breast: my fault, my fault, my most grievous fault. Beauty has been an unconditional gift. 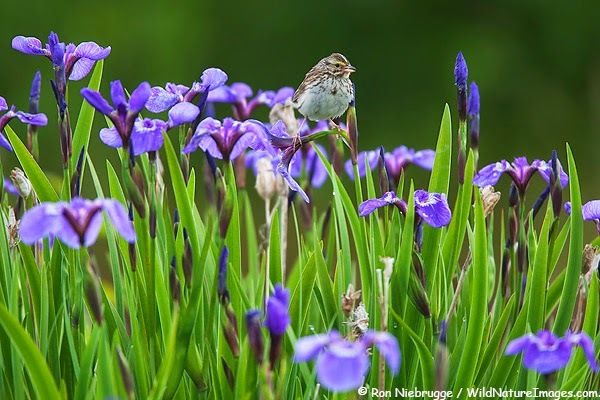 “After youth’s ‘love is pain’, that blue-purple flight.” I wouldn’t be able to find that meadow again, especially with the drought. But it is enough to have seen it once. Do we have the right to punish people? Billions would reply “Yes” without hesitation. Parents certainly think they have the right to punish children. “Justice” is just a nicer word for revenge. Of course it sounds better to say, “We want justice” than “We want revenge. We want the “bad guy” to suffer enormously. Yes, even forever. Payback!! And yet I think that at least in terms of the “creeping enlightenment” I’ve observed over the decades, there has been a movement away from cruelty. It is not as legitimate as it used to be. We seem to have finally understood: THE WISH TO PUNISH STEMS FROM THE DESIRE FOR REVENGE. It’s not just corporal punishment that’s increasingly in disfavor. Flogging was once a standard practice; now it appalls. Bullying and emotional and sexual harassment are behaviors we struggle to eliminate, not accept as part of life. Rather than yell at a child and hit him, a parent is more likely to try to explain that certain behaviors harm others — and thus, ultimately, ourselves — and invoke the Golden Rule. Respect for children is one of the frontiers in the battle against the “might makes right” mentality. It’s been said that we are entering the “dignitarian era” marked by respect for the humanity of another rather than desire for revenge. Note the word “entering.” We are mere beginners when it comes to addressing problems in non-punitive ways. B.F. Skinner, an atheist psychologist appalled by the concept of hell, was one of the under-recognized founding fathers of the anti-punishment movement. He was a strong advocates of using rewards instead. Animal training changed radically due to Skinner’s influence. Eventually children benefited as well, though his name is rarely mentioned in connection with more humane child-rearing practices. Of course many other psychologists also emphasized the importance of affection and the harm caused by the punitive approach. 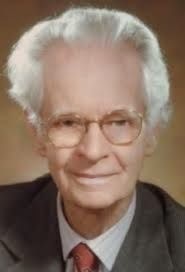 B.F. Skinner in pale color. Why only B.F.? Because his Calvinist parents called him Burrhus Frederic -- another example of parents putting some "ideology" -- perhaps wanting to honor an ancestor named Burrhus -- ahead of the child's welfare. Religion and punishment were closely related in my mind as I was growing up. The deity presented to us was the god of punishment, his power resting on the threat of eternal torture in a demon-filled hell. (Actually, that’s what the power of the church rested on, but I was too young to differentiate.) I came to see myself as a hopeless sinner and lived in the dread of hell. At 14 I had the insight that changed my life: “It’s just another mythology.” But for quite a while I still admitted the possibility, small but terrifying real, of being wrong. I decided that if I was wrong and the Judeo-Christian deity existed, filling hell with billions of "wrong-believers," then I was ready for my fate rather than worship a monster much worse than Hitler. Of course the odds that such a cosmic being exists are essentially zero, and it helps to re-read the excellent chapter in Dawkins “Why God Almost Certainly Doesn’t Exist” should the "hell trauma" revive even for seconds (at some point I did reach certainty that the monster did not exist). The teachings about hell are not only child abuse, they are emotional abuse across the board, including adults. And those who have been abused tend to become abusers or perpetual victims — unless they are healed and transformed, inclined to show affection rather than to punish (verbal abuse counts as abuse). Arguably the most important revolution in modernity has been away from seeing people as evil sinners who need punishment rather than as wounded human beings who need healing. A car with bad brakes is not “punished” for being an evil, sinful, fallen (LOL!) car. It’s taken in for repairs. It’s only common sense. The whole notion of punishment still needs a lot of review. Modern psychology sees people as basically good, but likely to have been damaged by negative experiences -- fundamentalist parenting included (funny, I never clearly put Catholicism in the fundamentalist camp, but Catholicism is fundamentalist in its essence; it couldn't be called "liberal Christianity"). A damaged person does not need punishment; s/he needs healing. The only god I could accept would understand this 100% and deliver healing. Not even Hitler (most likely he was mentally ill) would be punished. Apologies for the language — it’s needed for impact. A god who tells you to kill your child, or harm any living thing, is not worthy of respect, much less worship. The bloodthirsty archaic cruelty must vanish from human mentality. That the concept of hell even exists in the 21st century is disquieting. I predict that it will be more and more confined to the lunatic fringe. That's why I also occasionally post on Facebook about those semi-insiders, like ex-priests, who are trying to drop the concept of vengeance and punishment, and instead conceptualize an all-loving Christ (I prefer to use "Christ" in this instance because of greater distance from all the Jesus baggage, especially the Second Coming and Last Judgment that will finally, for all times, divide the small in-crowd of the Elect from the multitudes of those supposedly in the clutches of Satan). The “sanitized Christ” is just as imaginary as any other deity, but for those who have a great emotional need to worship someone invisible who's totally idealized, a figure of non-judging, non-punishing gentleness is much better than the vengeful god of punishment. WHAT ABOUT THOSE WHO FEEL NO NEED FOR GOD? For me, the beauty of the world — of the universe — is enough. a creak of a branch. a lover quickly walking away. ~ You can tell this poem was written during the phase of my life when love was still mostly pain — before the discovery of love as a pact of nonaggression and non-abandonment. There are circumstances under which it might be best to leave a lover — but it can be done in the spirit of nonaggression, respect and gratitude. 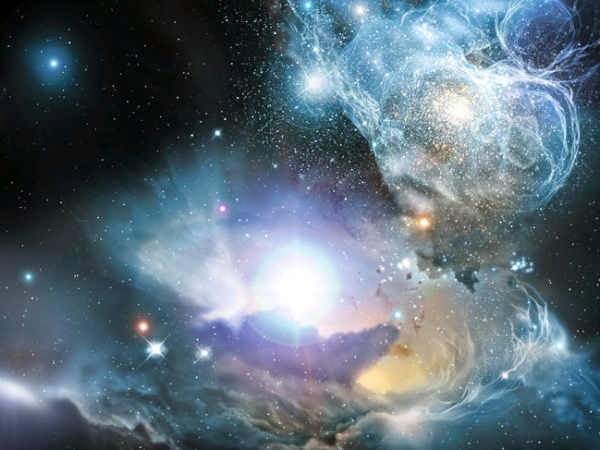 The positive message of the poem is that new stars are being born: our consolation is beauty and creativity. John Lennon’s “Imagine” is still totally radical. Not even in the West have we admitted that human beings come ahead of not only an imaginary god, but ahead of loyalty to various “great causes.” No cause is great enough to justify the slaughter of war (unless self-defense in the case of invasion; some would argue that some ideologies are just too vicious and must be exterminated, but this is a very difficult separate topic). There remain many things to live for. For me, it’s simply poetry and beauty. For a scientist, it’s the pursuit of knowledge. For a physician, it’s healing — and so on. In addition, there are people and animals we love. Whatever it is, we must cultivate our garden. And — have you noticed? — life is basically unfinished. We rarely run out of things to do, things to live for. Here is another early poem — I yield to this kind of temptation perhaps too easily. Reader, be warned: I hate the very concept of punishment, but I do love poetry. 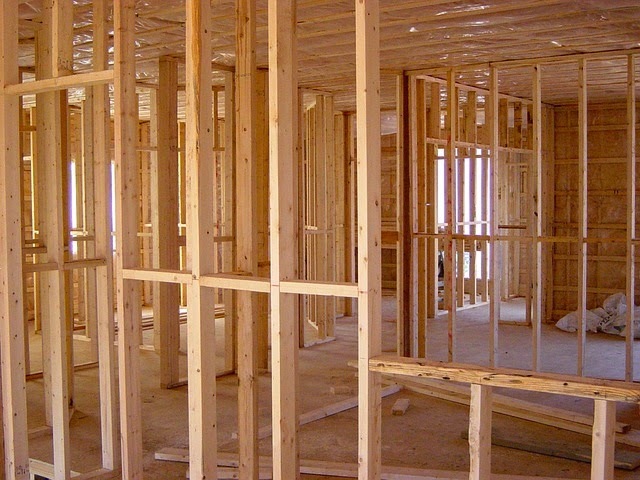 the ribs of studs and crossbeams. sawdust and nails on the floor. Soon this will be an ordinary house. Unfinished, it could still be a castle. but the way deeper in. My study has no furniture. and lean against the light. Not ‘only learning’, but ‘always learning’. And mostly just by entering. I have gotten away from the theme of punishment, but I like this shift from the theme of aggression and punishment to learning by entering. After all, life is not about reward and punishment. Mainly, it’s about learning. And learning should be an unpredictable adventure, and a joy. In 1989 the United Nations adopted the Convention on the Rights of the Child (CRC) and opened it to signatories. The CRC requires member states to “act in the best interests of the child.” The world seems to agree we’ve evolved to a better understanding of how to do this—well, most of the world—190 countries have ratified the CRC, and it is binding under international law. Significantly and admirably, Sierra Leone was the seventh country to sign. As of 2009, only three member states have not signed: Somalia, South Sudan, and—embarrassingly and shamefully—the United States. This is ironic because the US was a participant in drafting the CRC. Such is politics. The religious right and home-school lobbies have had the power to stop the US from signing. Ironic, isn’t it, that Christians, fearing the loss of their god-given right to beat their own children (Spare the rod, spoil the child…), indirectly increase the suffering of all children. There is a bumper snicker that reads, Jesus is coming, and boy is he pissed. Add this to the reasons why. In the US, parents, before physically punishing a child, would often say, “This hurts me more than it hurts you.” As children, we thought this stupid and wrong. But there is some truth to it. Those violating another human being violate themselves. When we move beyond physical punishment, everyone wins. When I was around twenty, I had a sudden insight: We have no right to punish anyone. It was more an intuitive feeling rather than a reasoned argument, and it seemed esthetic more than ethical: it was so ugly to leash out at another with deliberate malice. It hurt to watch. It isn’t only the victim who suffers. The violation goes both ways, and includes passive witnesses as well. Thank you, Michael, for pointing it out. Now I know some supportive arguments, based mainly on the view that we are not evil sinners by nature. Studies of infants showed that we are essentially good, wired for empathy and cooperation, and have an innate sense of fairness (this is typical of social species, and we are the most social among such species). Alas, we are vulnerable to damage from negative experiences, especially if we don’t get empathy after the traumatic event. “We are the victims of victims” and it’s not easy to break the generational cycle of passing on emotional damage that results from child abuse. Cruelty breeds cruelty — until a mother or a father discovers the joy of kindness and breaks the chain — or a child manages to enter an environment where kindness is the rule. As I've already mentioned, at first my insight that we have no right to punish anyone seemed esthetic rather than ethical. I instantly understood what Oscar Wilde meant when he said, “I know why America is such a violent country. It’s because your wallpaper is so ugly.” A household that cultivates beauty will not be a brutal one. A washing machine helps. Carpets and vacuum cleaners are allies of less-punitive culture. Even soft toilet tissue helps. Kindness includes kindness to oneself. A harsh environment — "hard times" — poverty, warfare, crime, threats of any sort — increase stress. More stress results in more cruelty — simply because parents are more likely to have "melt-downs" and scream and hit whoever is too weak to hit back. The abused children then become parents themselves. But wait — it's not entirely hopeless and automatic. Less stress helps. More pleasure helps. Awareness helps. It can take centuries, but then it can take only one generation to produce a huge cultural change. Make people's lives easier, decrease stress, and children will get more love and less punishment. Organized religion, as always, will try to oppose progress, but eventually old clergy are replaced and religion becomes "softer." The god of punishment is gradually pushed off his throne that's rooted in hell. It is a horror, that “god-given right to beat one’s child.” As Sam Harris observed, religious moderation is the result of taking the “holy” scriptures less and less seriously. He asks,”So why not take it less seriously still? Why not admit the the Bible is merely a collection of imperfect books written by highly fallible human beings?” The men who wrote the bible lived in a world permeated with cruelty. Harsh punishment even for minor crimes only added to the burden of cruelty. The horrible treatment of those at the bottom of the hierarchy perpetuated the “nasty, brutish, and short” condition of their lives. Thinking about it, I sometimes wonder how we in the West made it to modern consciousness after all. I used to be puzzled: no more floggings — when did we decide it was barbarian? And effective law enforcement to stop and prevent most violence — when did it dawn on us that a safer world is worth the tax money it takes to pay the police? Not that things are perfect; nevertheless, we are enjoying the most secure period in Western history. With less hardship and less menace in the environment, we can focus on the beauty of life and enjoy gentle child rearing and gentleness in human relations in general. Again, things are not perfect — a snarly medical receptionist does not promote a kinder world — but in general, yes. There is more respect for the rights of others than a century ago — not to mention the horror of two or three centuries ago where roving gangs of thugs made city streets too dangerous for walking. I hope one day a politician will have the courage to take on prison reform — one of the next frontiers for reform of misplaced/unjust punishment. I am not holding my breath. But maybe half a century from now . . . It will be revolutionary to get away from the concept of punishment. But note that the mentally ill used to be treated with utmost cruelty. Treatment still falls short, but progress in the field of mental health gives me hope that prisons will be next. At the same time there is so much truth and wisdom. 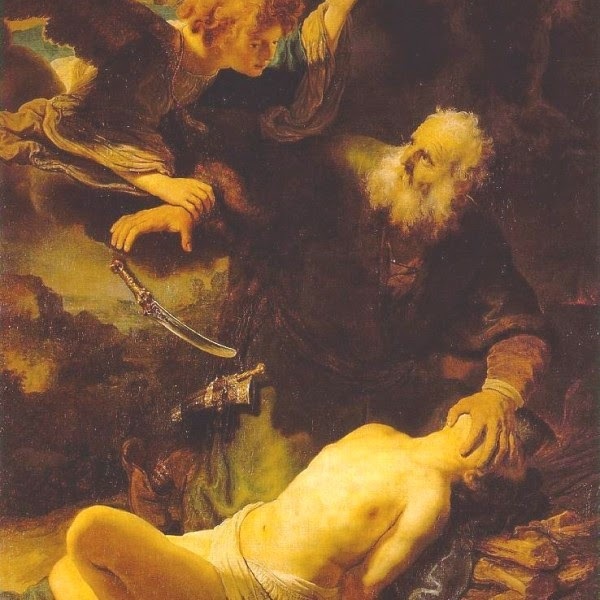 In Rembrandt’s Abraham and Isaac, notice how feminine Isaac. Most of ll I love your segueway from punishment to beauty. Vulgarity was the strongest way I could state it, and it needed to be stated with utmost clarity. We have to stop making excuses for the archaic god. Granted that any deity is a human concept, a concept of a cruel god must be condemned as completely out of keeping with modern ethics. Nightmare stories of obeying a voice telling you to kill your son keeps reinforcing the idea that obedience to god comes ahead of everything, even the parent’s duty to protect the child. This translates into obedience to the clergy, prophets, and cult leaders. No way! The story can still be told as part of a mythology — with the explanation of how it reflects the culture of the Ancient Near East (deities were routinely appeased with sacrifice; altars flowed with blood; animal sacrifice at the Jerusalem Temple continued until the Romans destroyed the Temple), and how the myth was created and eventually written down by fallible men. I suppose that Rembrandt wanted to emphasize Isaac’s tender youth and beauty. And speaking of beauty, I am so glad that the rather wild transition worked for you. For me, there is a connection between being able to appreciate beauty and kindness. Beauty and ugliness are involved in how others are treated.